One of the most important kitchen tools at our home and at the office is the glass tea kettle. I use it to boil (or come close to boiling) water for my coffee and to make herb teas. I’ve talked about and written about my methods for making these drinks for a long time and have always recommended a glass kettle. Glass is cleaner and gives a better taste. 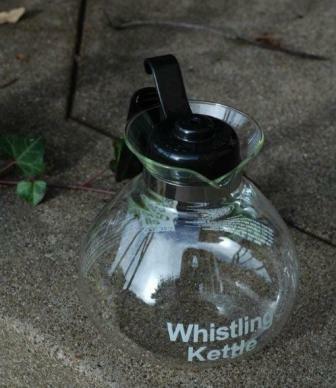 In in the past, the kettle I used was called “the Whistler”. For whatever reason the product is no longer available. Through some diligent work we have found a replacement, and it might be even better. It’s called the "Whistling Kettle". We have it available on the web site because it isn’t in the stores all over yet. I use it and strongly recommend it. More information about my tea making is on this link. Herb Tea. For shopping, here's an easy way to purchase great natural organic products. Click here Health & Nutrition.